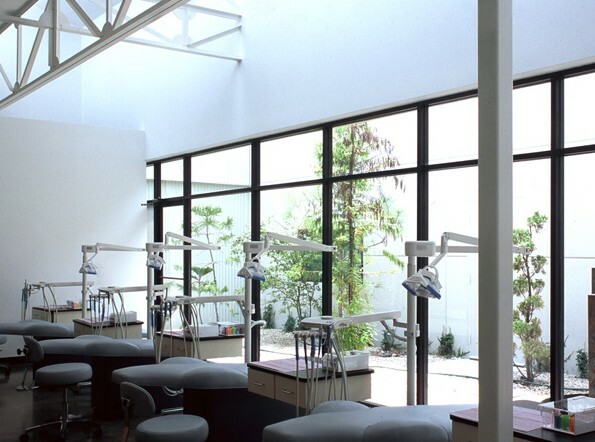 A universal frame creates flexible space to accommodate diverse tenants. 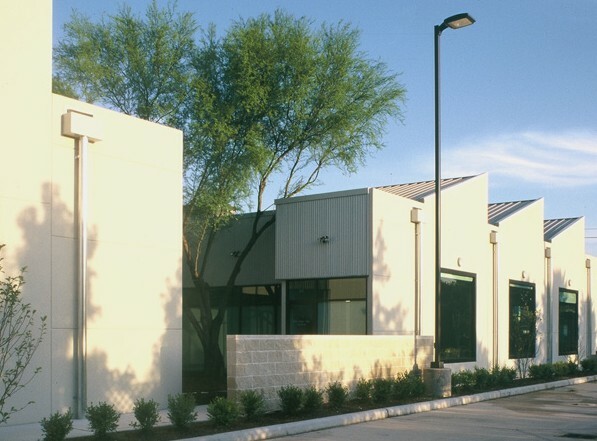 Bellaire Health Associates is a complex that includes an orthodontists office, an optometry office, a medical office, a pharmacy, an art gallery and a photography studio. Accommodating this diversity in both an efficient and interesting structure was the challenge presented to MC2 Architects. The design solution is a universal frame structural system that provides the needed flexibility. 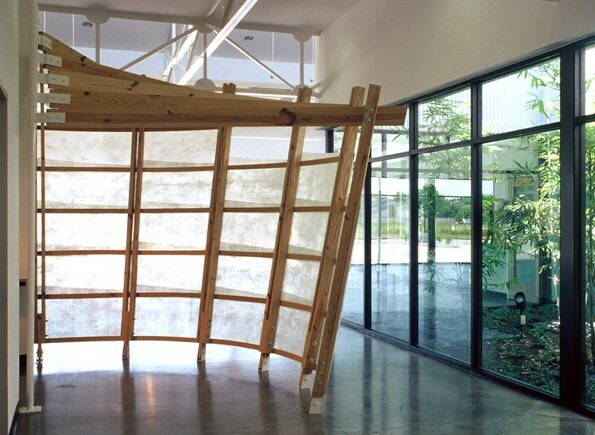 The frames 18 x 18 grid uses a system of steel trusses. 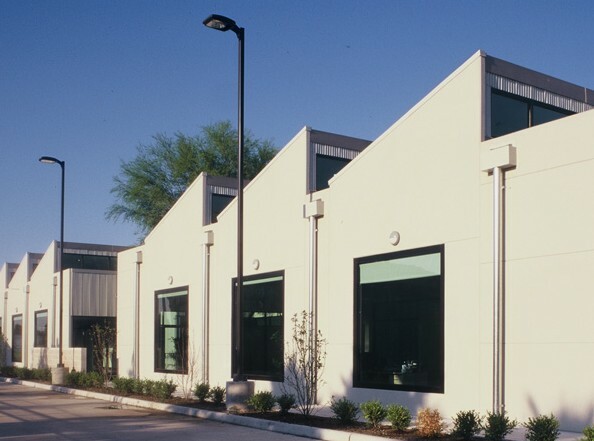 On the east and west ends of this grid, concrete tilt-up wall panels give lateral stability and protect the interior from solar exposure from the east and west. The north and south sides are glass facades which provide entrances to the different sections of the complex. 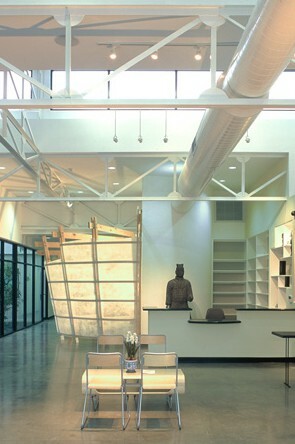 MC2 Architects design employs several techniques to bring a sense of openness, warmth and light to the interior. Subdivisions of the structural system are treated individually to break up the grid. 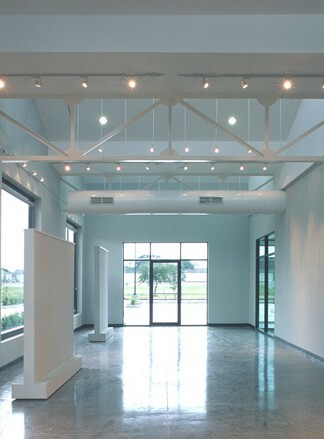 A saw-tooth clerestory system with north-facing windows over the studios and public spaces fills them with light. Courts and gardens are dropped into the plan to create rooms of light, exterior spaces adjoining and connecting with interior rooms. 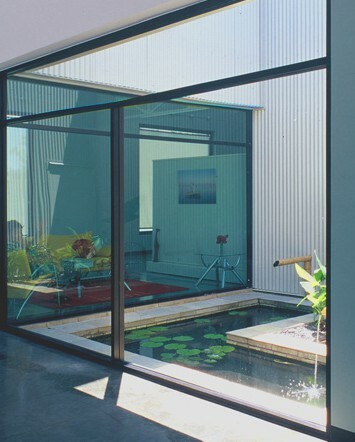 These natural oasis bring light and nature into the building interior. The rooms of light are carefully placed to preserve existing trees and form courtyards and gardens within the complex. These gardens also serve as fire exits to eliminate the need for unsightly corridors.